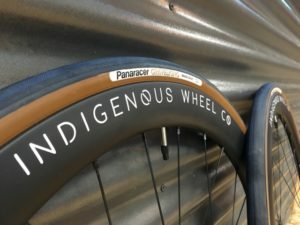 Allied Alfa Disc | They See Me Rollin', They Hatin' - Indigenous Wheel Co. I have a few overarching reservations about bikes made in the great U.S. of A. because, let’s face it, a vast majority of our carbon is manufactured in highly-advanced overseas factories. As a result, most of the bigger bike companies state-side are just marketing campaigns trying to sell a brand. 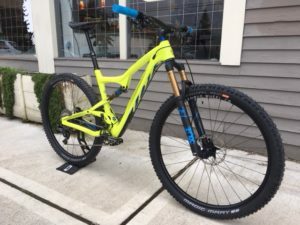 However, Allied Cycle Works has a story: “A bike made here.” If you visit their page, their “Our Story” section doesn’t make a heartfelt commentary about how the company started, but instead is a brief synopsis of the people involved with the brand and their contributions in the production of a frame. A company that lets its products and fabricators speak for themselves? That’s something I can get excited about. Let’s talk about this bike and how it surpassed my every assumption about USA-made carbon. The Gulf Blue color pops! I’ll start with my overall opinion of the bike, first: you will want one of these. As an important caveat, this may not be an ideal choice for your first ever “dipping your toe in the water” road bike. 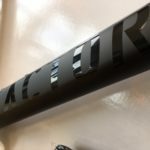 After you’ve had your first road bike, and then your second, and had a chance to ride a bit of everything, and develop some opinions (lots of opinions), that’s the time to contemplate something like this. You’ll eventually want to treat yourself to a high-end bike and feel good about your decision.  This is that bike. Simple and elegant, but powerful. I’ll focus on some mechanical aspects of the bike that I like, first. Uses 12mm thru-axles front and rear, that are Mavic “Speed-Release” skewer friendly. Large exit ports for easy re-cabling. The build was straightforward and simple. I was given a heap of Shimano Ultegra R8000 parts, an FSA carbon crankset, and most notably, the big purple Paul Boxcar stem. 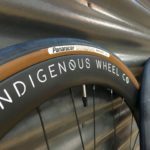 There were other little gems hiding in the build such as Hope Pro 4 road hubs laced to my own Indigenous Wheel Co. Premium Carbon hoops in 35/45mm combo, Zipp bars, Supacaz hand-painted bottle cages; the list goes on. Tidy dropouts that are “Speed-Release”-friendly. 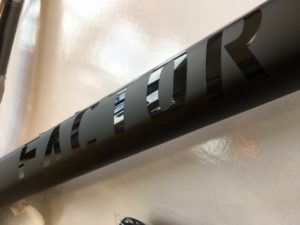 The most difficult part about most modern disc brake road bike builds is feeding the rear brake cable through the chainstay and bottom bracket, and making sure it doesn’t rattle in the downtube on rough roads. Everything else was a piece of cake. If I had to find one thing to complain about, (which I did) it would be that the front fork does not have an internal sleeve for routing the front brake housing and that process can take some patience, unless you’re paying somebody else to do it. Clean cable routing is key for any custom build. The Allied Eagle cable stops are a pretty detail. The Supacaz bar tape with Oil-Slick endcaps and matching top cap work well with the aesthetics of this build. Absolute Black Oval Rings with an R8000 group: it works brilliantly! 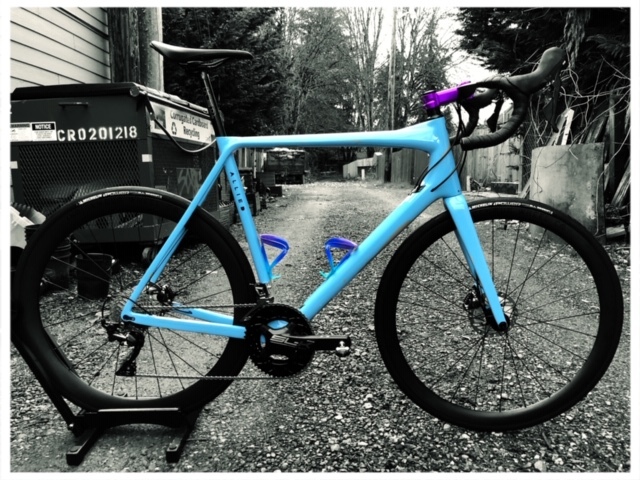 We had a lead time of 5 weeks for the frameset, plus shipping. It arrived 4 weeks from order date. The build came together quickly from there, and the first pedal stroke was nothing short of rad. Allied makes an exceptionally stiff bike. There was no give in power transfer, yet the bike didn’t ride like a soul-less piece of carbon, even when it was equipped with durable Michelin winter tires. It had a great vibe over the cruddy roads that we are treated to in the Tacoma, WA area; I didn’t feel beat up, and I didn’t feel held back. Even with this bike being their 58+ size that incorporates a taller headtube, I could see myself racing on this and enjoying longer rides. I never view bikes as a quiver killer, but this one does come closer than most. Even better, it’s a bike made here.